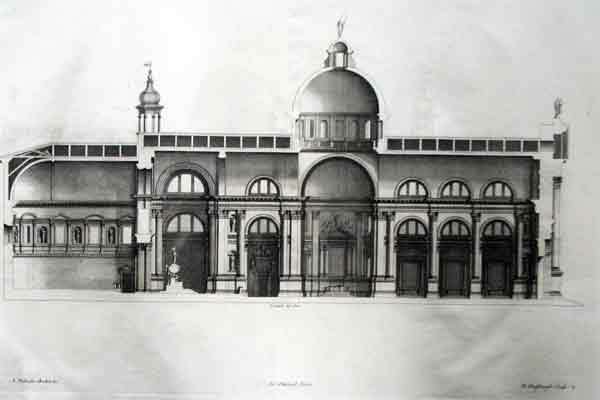 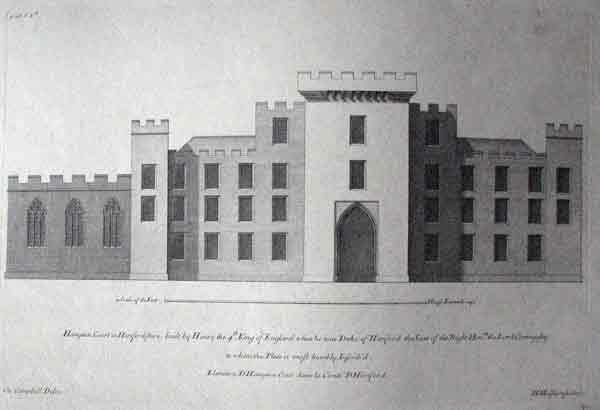 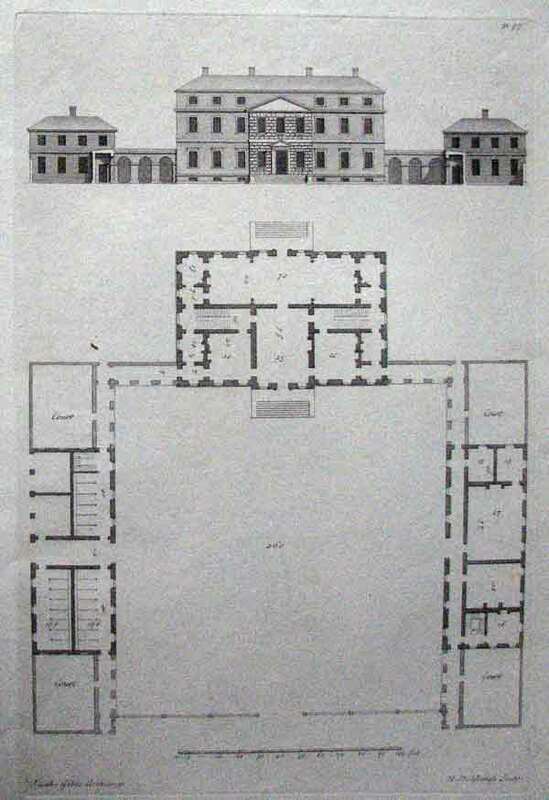 H.Hulsbergh engraver/ CAMPBELL, Colen Vitruvius Britannicus, or The British Architect, Containing the Plans, Elevations, and Sections of the Regular Buildings, both Public and Private in Great Britain. 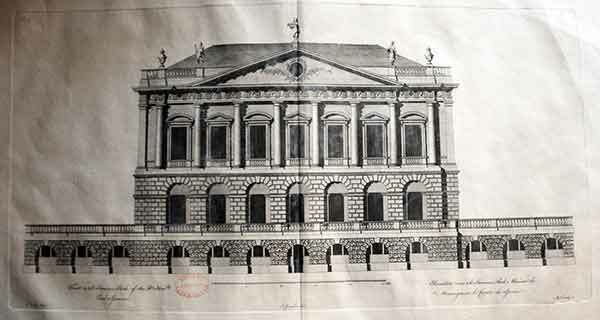 London.The Authors.1715 5 vols. 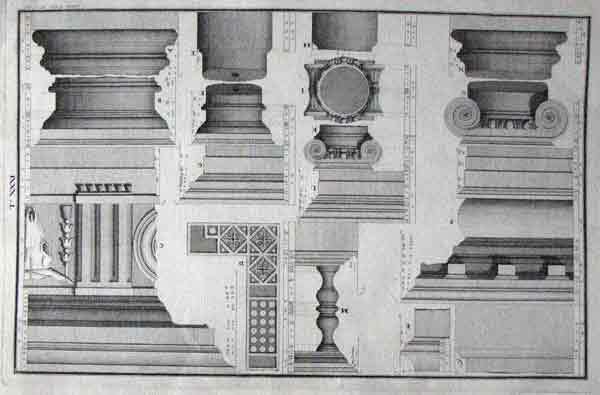 Folio., 375 engraved plates, including many double-page. 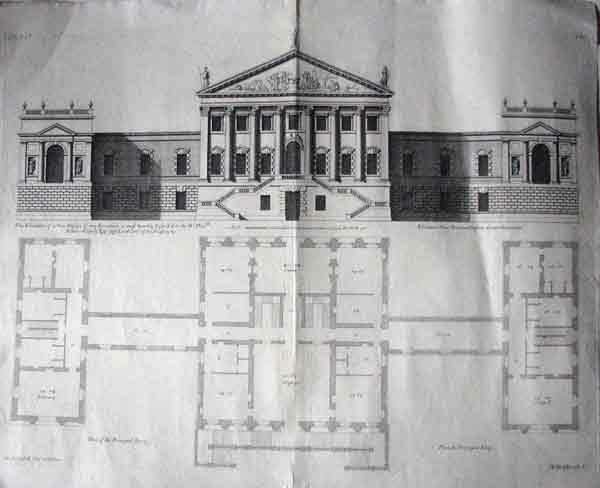 Vitruvius Britannicus is indispensable for the study of 17th and 18th-century architecture in England, and occupies its own place in architectural history as the book which established Palladian architecture as the approved style for Britain in the 18th century. 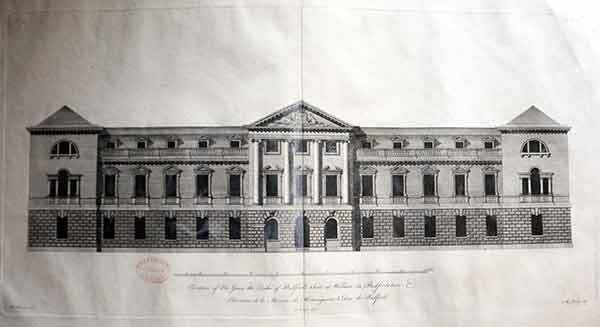 Colen Campbell issued the first three volumes between 1715 and 1725. 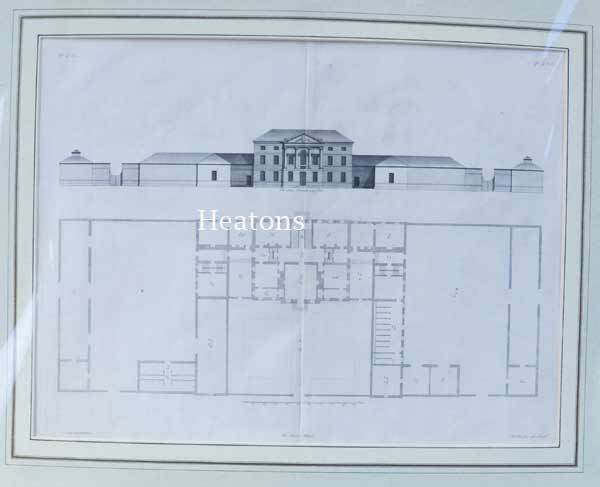 From the set of 375 large engraved illustrations, plans and sections of palaces, country houses, government offices and churches designed by architects from Inigo Jones onwards, with extensive coverage of Wren and Vanbrugh and of Campbell's own designs in the new English Palladian style. 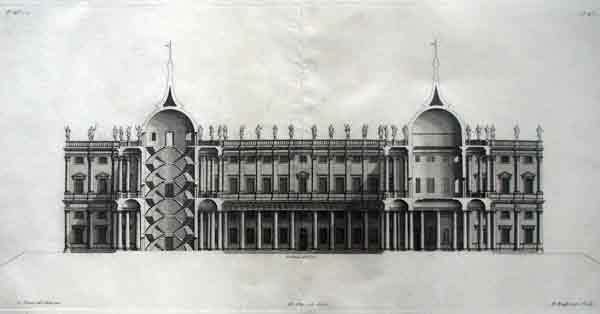 A compilation of British domestic architecture of the 17th and 18th century. 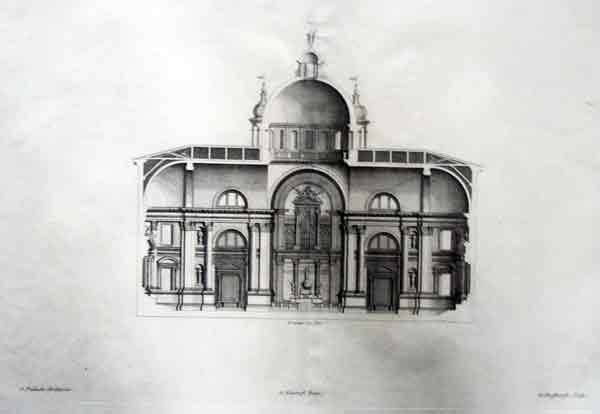 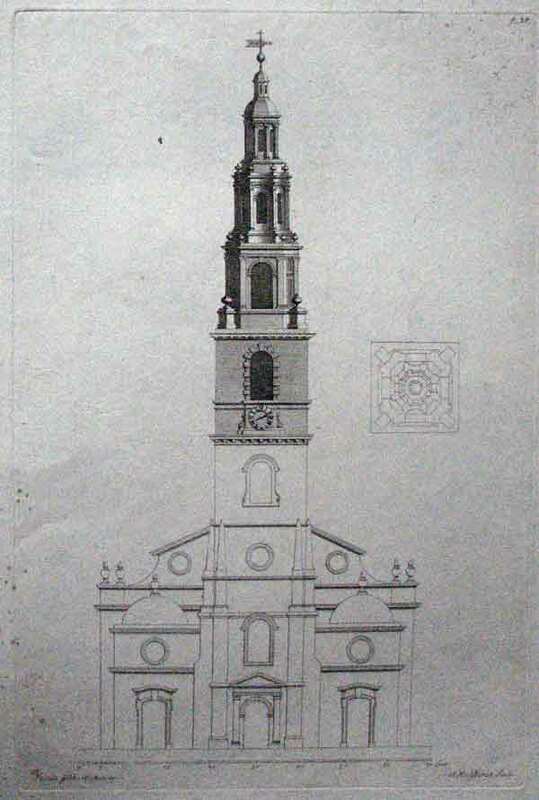 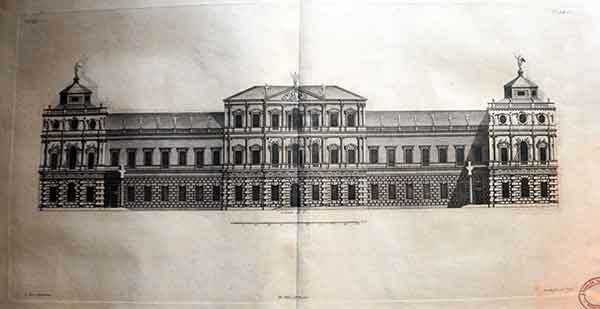 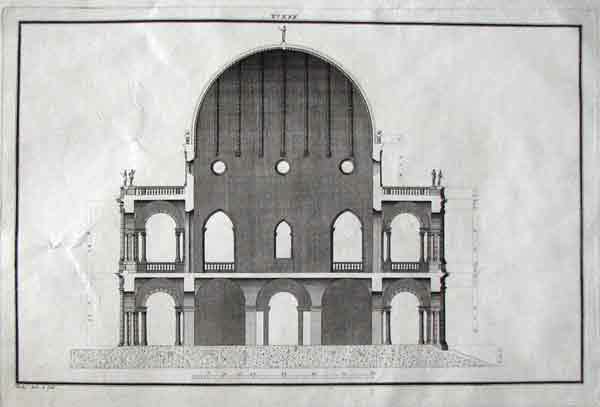 The first volume, appearing in the same year as Leoni's Palladio, was the earliest manifestation of the new Palladian revival - it was, in fact, Campbell who kindled the flames of Burlington's interest. 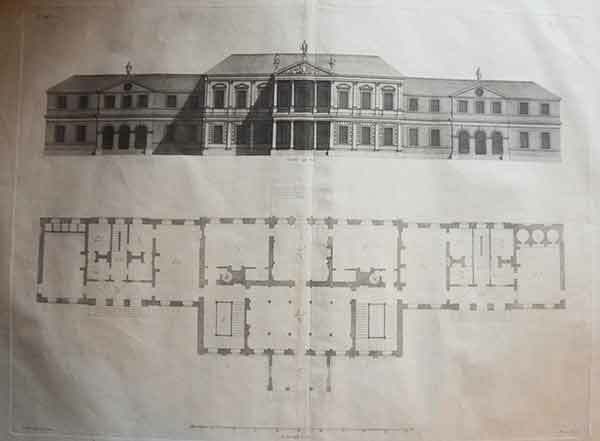 Large plate engravings being various sizes typically 28cm x 44.5 cm. 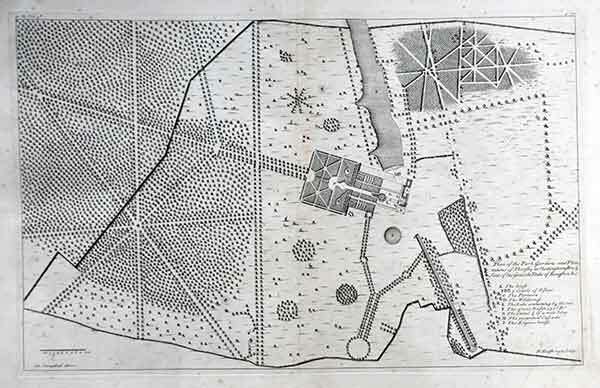 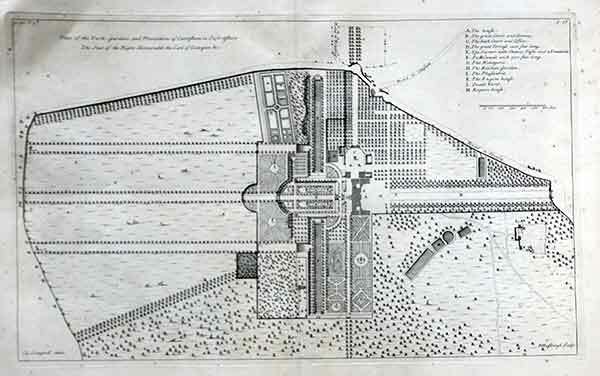 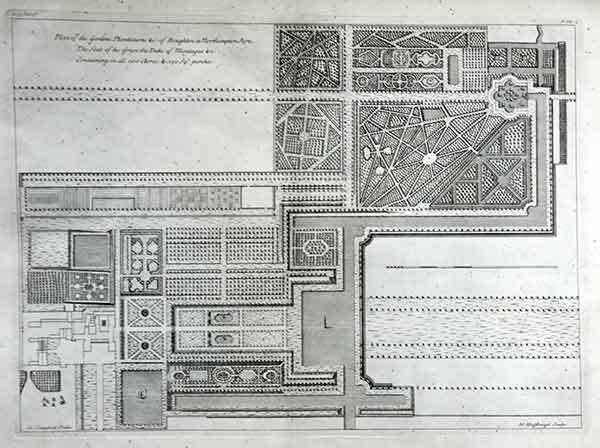 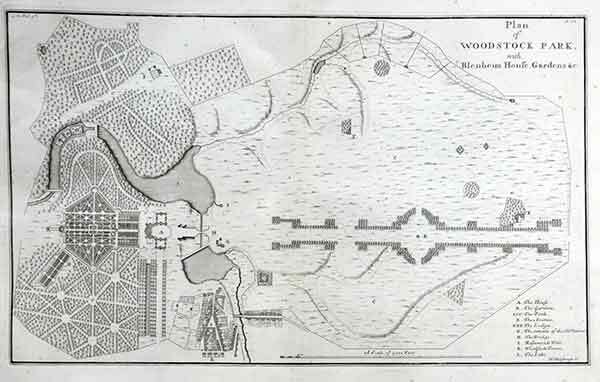 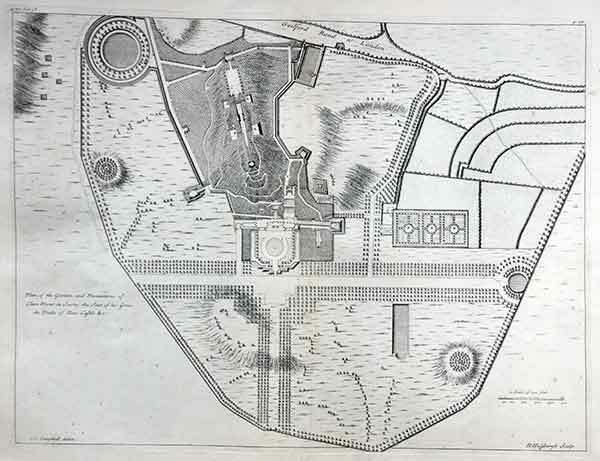 Plan of Woodstock Park with Blenheim House, Gardens &c..."
Published in London in 1715-1767, detailed architectural engraving by Colin Campbell from Vitruvius Britannicus, or the British Architect, Containing the Plans, Elevations, and Sections of the Regular Buildings Both Publick and Private in Great Britain. 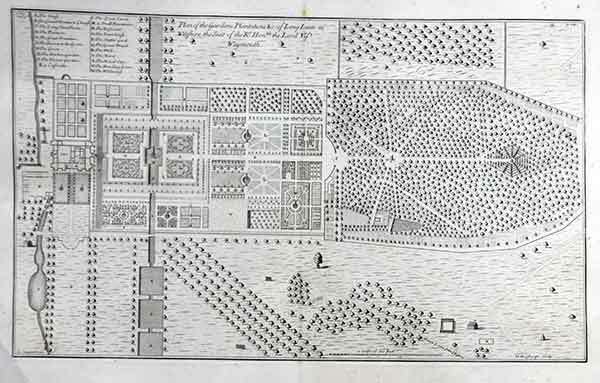 , which was published in London in 1715-1767. 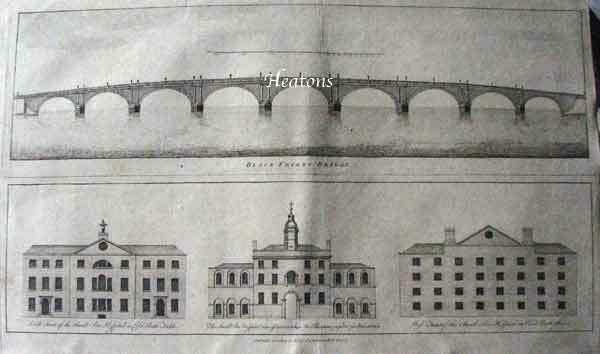 (Further volumes using the successful title were assembled by Woolfeand Gandon, and published in 1767 and 1771.) 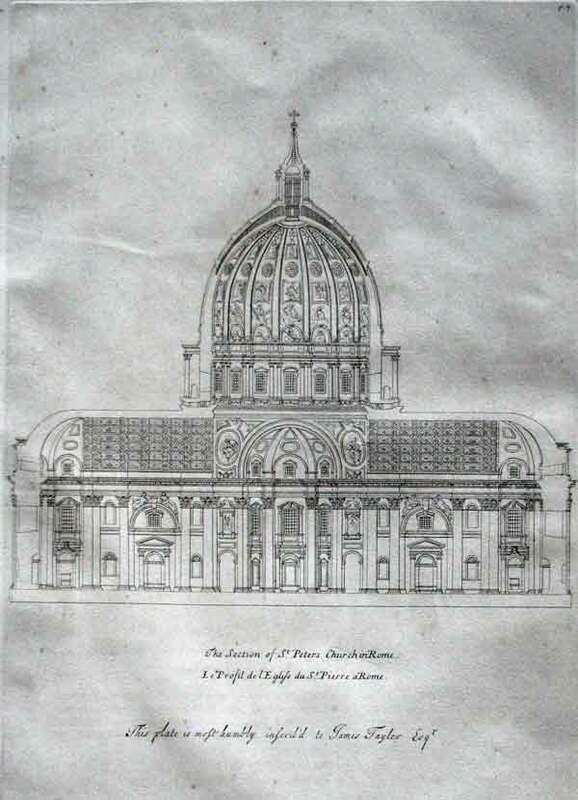 Containing engravings of English buildings by Inigo Jones and Sir Christopher Wren, as well asCampbell himself and other prominent architects of the era. 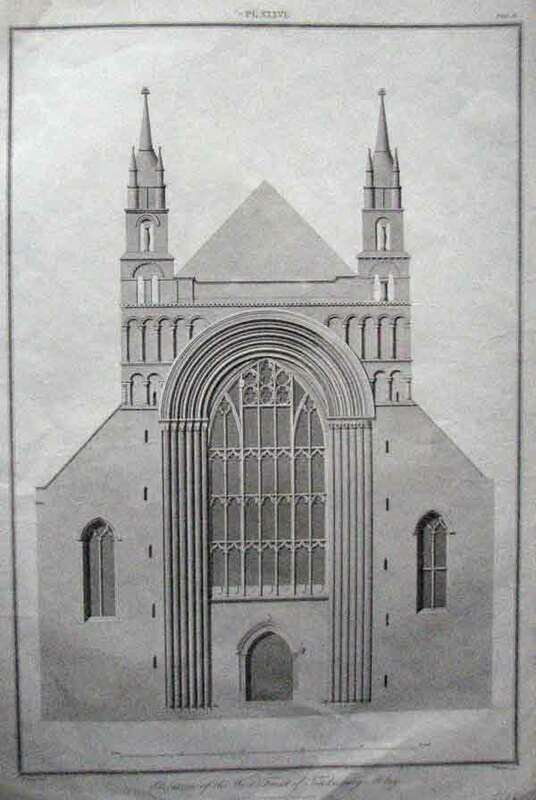 Many are folding panoramas so subject to damage over the years all unmounted untinted . 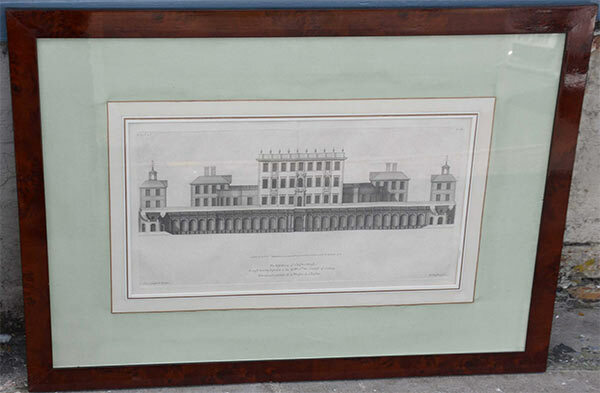 Folds as issued £225 larger than usual inc delivery. 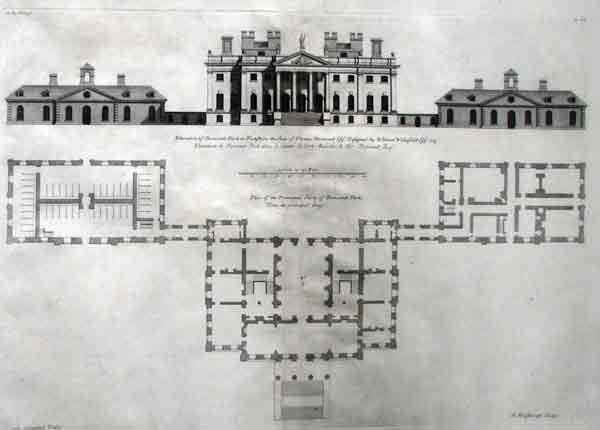 Elevation of New Design to Robert Walpole & Plan of Principal Story.London, 1715-1725. 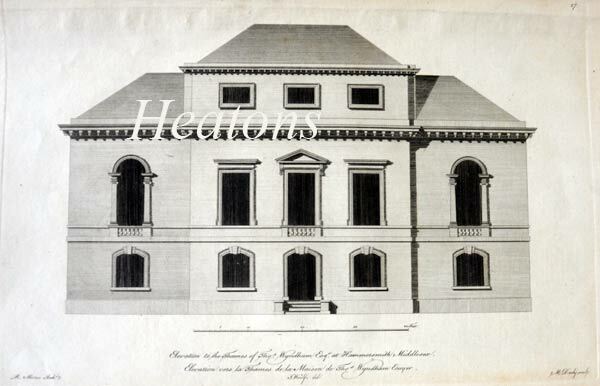 Elevation to the Thames of Thomas Wyndham Esquire at Hammersmith Middlesex. 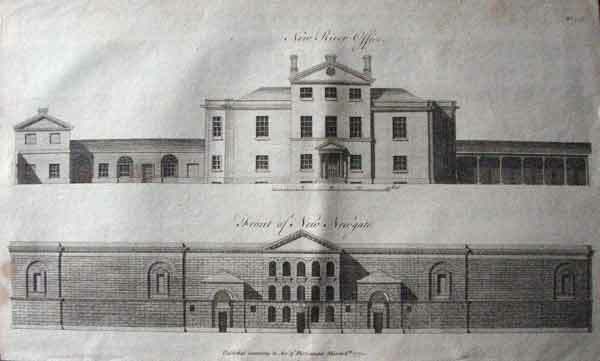 New River Office and front of New Newgate. 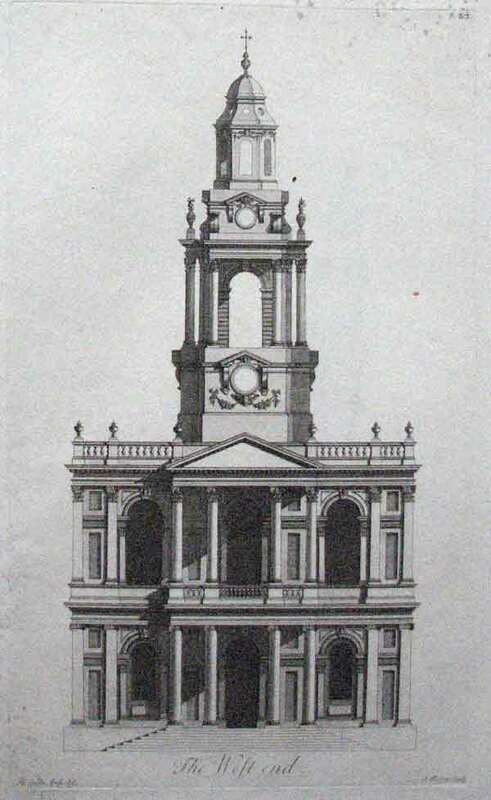 St. Martin in the Fields Church. ? 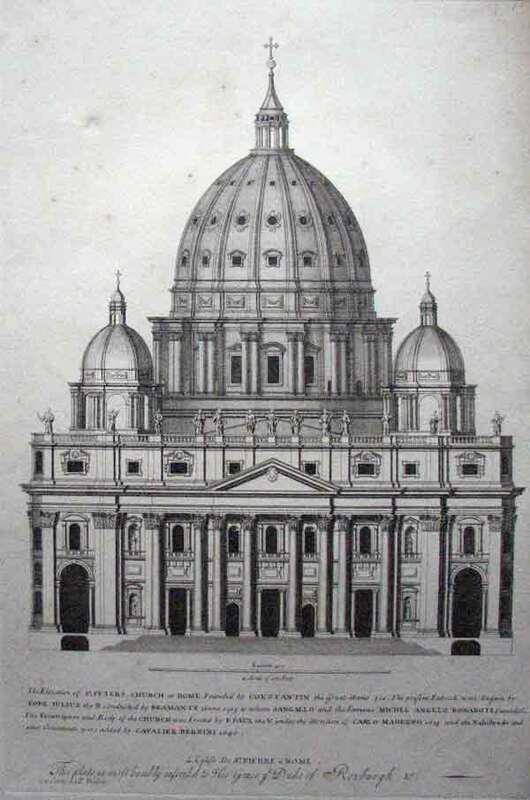 "The Section of St Peters Church in Rome /Vol. 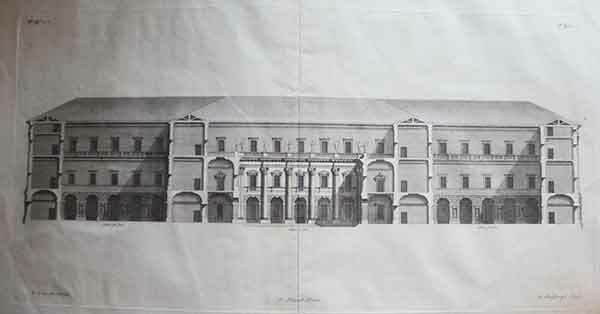 1: Plate 7 "